The recent World Trade Organization ruling in the dispute between Antigua and the United States may have far-reaching consequences for account and Internet wagering on U.S. racing. Most immediately, however, the WTO ruling has provided new fuel for Senator Jon Kyl’s longtime opposition to Internet gaming. A current draft of Sen. Kyl’s bill now being circulated on Capitol Hill contains no specific carve out for Internet gaming on pari-mutuel horseracing. All prior versions of the Kyl bill, which has been introduced on four separate occasions, have included this carve out. The situation, however, is not as dire as news accounts might indicate. NTRA has been working closely with Sen. Kyl’s staff to review in detail the draft language and explain why a specific carve out for racing will be necessary to secure the horse industry’s support for the bill (and conversely to avoid its opposition to the bill). The association has provided Senator Kyl’s office with a summary of those arguments and continues proactive efforts to ensure that horse racing’s legislative carve out is retained and the industry suffers no legislative reversals. On May 11th, President Bush signed the Iraq/Afghanistan Supplemental Appropriations bill into law. The bill includes one of the NTRA’s top legislative priorities, a measure sponsored by Senator Barbara Mikulski (D-MD) that would address problems created by the limited availability of H-2B visas. Many employers in the Thoroughbred industry who rely on the H-2B programs for semi-skilled immigrant workers for non-agricultural jobs will benefit from the new law. Legislative successes like these are made possible by voluntary contributions from NTRA members purchasing horses at public auction and registering foals with The Jockey Club. These designated funds flow to the NTRA’s Legislative Action Campaign for federal lobbying in Washington, D.C. Donations to the NTRA Political Action Committee (Horse PAC) also enable the Thoroughbred industry to make contributions to national political parties and candidates for federal office who support the industry’s legislative agenda. 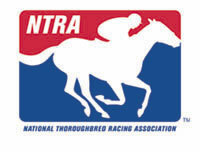 For more information about the NTRA’s legislative programs, visit our Web site www.SupportHorseRacing.org or call Joe Clabes, Director of Industry Relations, at (800) 792-NTRA (6872) or e-mail jclabes@ntra.com.